Let us help you prepare for the relationship of a lifetime. 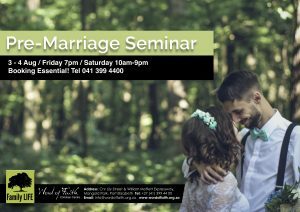 This exciting seminar is filled with laughter and good advice, as well as Godly principles for your marriage. Compulsory for anyone who wants to be married by a Word of Faith Pastor.